The elegance in the heart of Rome resides in the splendid rooms of the HotelHiberia, a 3 star building complete with modern services, capable of accommodating both leisure clientele as well as business clientele. 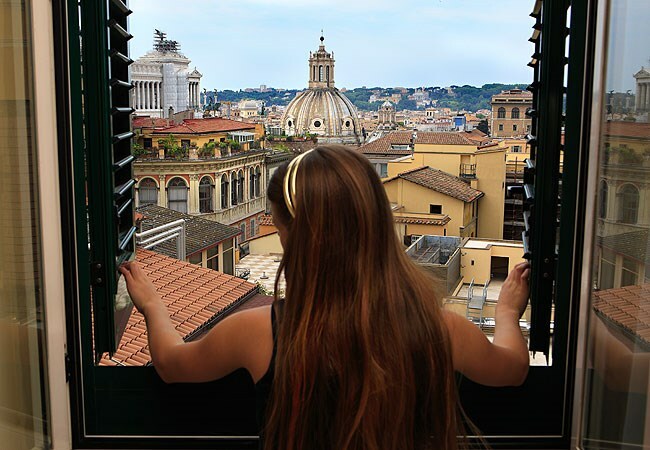 Excellently refinished ample rooms, some of which offer a striking view of Rome, the Hotel Hiberia is the ideal milieu for those who dream of a relaxing vacation with family, a few paces from the Quirinale and the Trevi fountain. 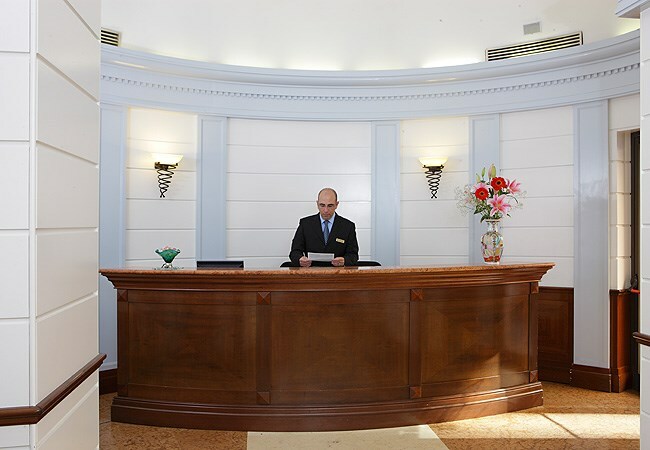 In a palace in the historical center of Rome, the Hotel Hiberiapossesses a skillful balance between classical and modern elements, a positive character that is manifested in the splendid hall, where you are welcomed by a courteous and highly professional staff. At reception you can book guided tours, excursions – with private car as well - and tickets for theater and musical shows, acquiring all necessary information in order to tour Rome, using the convenient public transportation that stops in the vicinity of the hotel. The setting of the Hotel Hiberia, elegant and furnished with special attention, offers a decorousness superior to the common 3-star hotels; complete with ADSL internet with fax service, a bar open 24 hours and a TV room, is perfect for clients on business tripsin search of relaxation. For those who arrive in Rome by care, a reserved parking garage is available only 330 yards from the Hotel Hiberia.